Female Transformation Of The Week - Mende Gibbs! Mende's history of yo-yo dieting left her uncomfortable in her skin. But after giving birth to her second child, she decided the enough was enough. 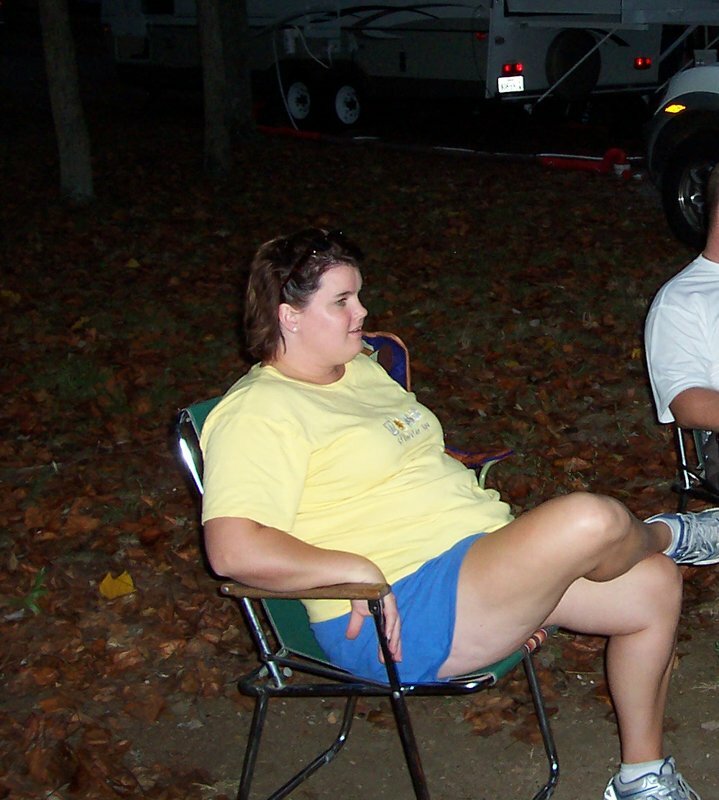 Read on to learn how she got motivated and dropped 95 pounds right here! I spent most of my life yo-yoing between being overweight and a little chubby. In fact, growing up my mother nicknamed me "pork", which certainly didn't help my esteem to say the least. In high school I was considered average size and never really gave any thought to my weight, but after high school I dove into some unhealthy habits that sent my body back into a yo-yo pattern. By the age of 20 I was overweight and realized I needed to start a workout regimen. I purchased a gym membership, started on my path to regaining healthy habits and made it a number one priority. That is until partying and dating took over. Soon I was in a relationship, with my now husband, and gaining weight fast. Mende Gibbs' Weight Loss Progress. With the weight coming on fast, I needed a quick solution and the answer, or so I thought, were prescription diet pills. My thinking was this would be the quickest and best solution to my problem. Unfortunately the solution I had found didn't last long. About a year later I was planning a wedding and was right back to being overweight. Realizing that diet pills were only a quick fix, I set my sights on the gym once again and did I ever work towards my goal. Proudly on my wedding day I walked down the aisle in a size 6 gown, but that body size didn't last long. I Was Gaining Weight Fast. Over the course of the next 7 years I gave birth to 2 boys, 3 years apart. Those 7 years were filled with more quick fix diets, workout plans, diet pills and different gimmicks. Pregnancy with my last son put me topping the scales at over 240 pounds. Of course once I delivered my son I dropped some weight, but not as much as I would have liked. So I jumped right back to my cycle of fad dieting, gaining and losing weight but never realizing my "true" size. I Never Realized My "True" Size. It wasn't until late 2005 that it really started to sink in that this wasn't the way I want to live. 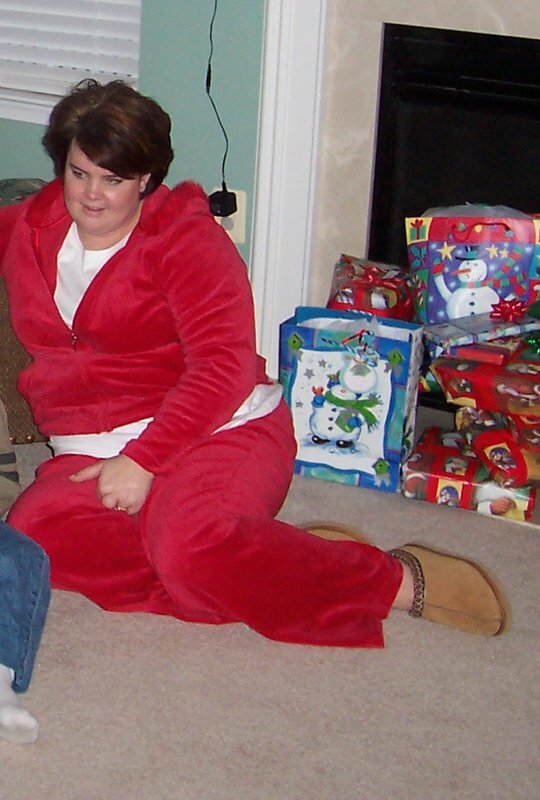 I spent the holidays of 2005 absolutely miserable. 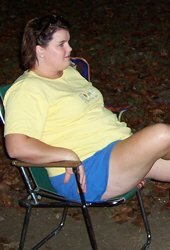 I was overweight, uncomfortable in my own skin and just flat-out unhappy with myself. What was wrong with me? I had a great life, 2 beautiful boys and an adoring husband, but I was just so unhappy with me. 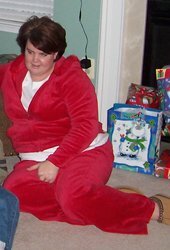 I couldn't figure out why I was so unhappy until the day after Christmas when I saw a picture of myself from the holidays. When I really looked at that picture I saw how big I had become and for the first time I had no excuses. I didn't even recognize myself. I Didn't Even Recognize Myself. For so long I blamed bad photos or a lack of make-up, un-flattering outfits, bad angles or my hair wasn't "done." But finally looking at that photo there was me, what I had become staring back. I vowed that day to make a change; a real change and a few days later in the beginning of the New Year I started on my journey to a new life. I started with an elliptical machine in my living room parked in front of the TV, and a few healthy cookbooks. 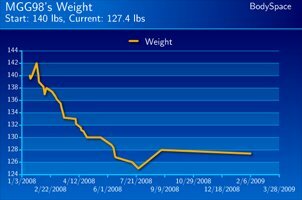 At 220 pounds I started slow. I worked out on the elliptical 20-30 minutes a day in the beginning accompanied by healthier eating habits. I allowed myself 1 full cheat day a week, which helped keep my sweet tooth and cravings at bay. After a month my husband bought me a gym membership, I was intimidated at first but slowly started hitting the gym and attempting some weights. Shortly after starting the gym and losing 30 pounds I was faced with a gall bladder attack. Soon after a surgery to remove my gall bladder I was diagnosed with Celiac disease. Celiac disease is a digestive condition triggered by consumption of the protein gluten, which is found in bread, pasta, cookies, pizza crust and many other foods containing wheat, barley or rye. Oats may contain gluten as well. When a person with Celiac disease eats foods containing gluten, an immune reaction occurs in the small intestine, resulting in damage to the surface of the small intestine and an inability to absorb certain nutrients from food. Eventually, decreased absorption of nutrients (malabsorption) can cause vitamin deficiencies that deprive your brain, peripheral nervous system, bones, liver and other organs of vital nourishment, which can lead to other illnesses. The decreased nutrient absorption that occurs in celiac disease is especially serious in children, who need proper nutrition to develop and grow. During my short recovery from the gall bladder surgery I read all I could on Celiac disease and learned I had to totally change my eating. In order to stay healthy I had to start incorporating clean gluten free eating. I began eating gluten free food, hired a trainer at the gym and quickly started losing more weight and reshaping my body. I loved the way I felt with the weight training and healthy clean eating and began reading more and more women's fitness magazines and weight training books. My trainer moved and I decided to put what I had read and learned to the test, I stopped eating all the processed gluten-free food and moved on to foods in their natural state. I cut out my weekly cheat day and converted it to a cheat meal. At the same time I tore out workouts from popular magazines and had fun trying new routines and workouts. My new lifestyle became so much fun to me. It wasn't something I had to do as much as it was something I wanted to do. 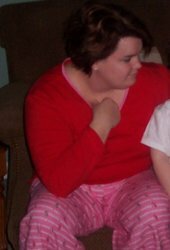 Before I knew it I was down to 150 pounds. At that weight, almost 2 years ago and 15 months after starting my journey, I decided to have a Tummy Tuck to remove the excess skin from my stomach. So Much Fun To Me. 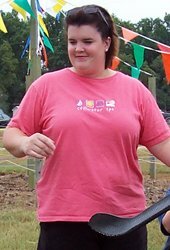 After years of yo-yoing in weight, 2 large babies and a 70-pound weight loss, there was no reshaping that excess skin. I came out of that surgery knowing that while my stomach looked better, I wasn't done with my hard work. I didn't want the surgery as a final point in my journey; I wanted it as a stepping-stone. Seeing my results motivated me more than I could have imagined to keep reaching for my goals and obtaining the body I wanted, it made it so much more visible to me. I Wasn't Done With My Hard Work. One day, while reading one of my fitness magazines, I saw an advertisement for Bodybuilding.com, which intrigued me. Finally I visited the website and stumbled across BodySpace. I was in awe of all the fitness oriented people on one site. I surfed through the site many times before I was comfortable setting up my own profile. Within minutes of doing so I was welcomed, greeted and motivated. It was a great feeling to be surrounded by others with similar goals. While on BodySpace I came across an online trainer that I started working with to get my body to the next level and finally reach my goal of 125 pounds. 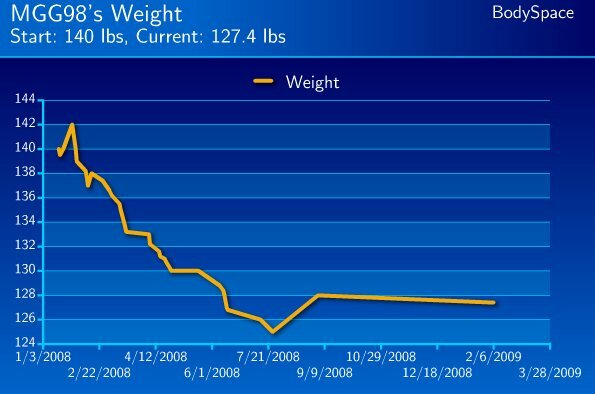 In July of 2008, the day before my 10-year wedding anniversary and 2 1/2 years into my journey I am proud to say I reached my goal of 125 pounds, bringing my weight loss to a total of 95 pounds. All of the weight loss was done through a combination of healthy eating habits, weight training and cardio. I took some time off from being so strict and working with a trainer to get back to doing it all on my own. During that time of working a program on my own, I became a certified group fitness instructor and started studying for my ISSA personal training certification. I Am Proud To Say I Reached My Goal. Recently I set a new goal, which is to step on stage in my first figure competition in the spring of 2009. 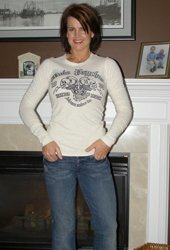 In order for me to achieve this goal I once again turned to BodySpace, and enlisted the help of another online trainer. With the support of my trainer, family and friends I know that my goal will become a reality. This is an example of my previous diet, now that I'm in contest prep things are different. 4 mornings per week I do 45 minutes on the elliptical on an empty stomach. This workout is different now due to contest prep. Click Here For A Printable Log Of Day 2: Chest, Triceps & Abs. Click Here For A Printable Log Of Day 4: Back & Biceps. Click Here For A Printable Log Of Day 5: Shoulders & Abs. Start slow, don't push things too much or too fast in the beginning, you need to have somewhere to go when your body stops responding. Set your goals for both short term and long term sometimes the long term goal seems a little more with in your reach knowing you are so close to your short-term goal. Never be afraid to reach out for help or support, you would be surprised how many people are willing to help you. Make things work for you, if it doesn't fit into your schedule or isn't realistic eating, chances are you won't stick with it but also keep in mind that you may have to step outside of your comfort zone to achieve all that you want. Make Things Work For You. Don't beat yourself up for mistakes you may make along the way, you can't change them, move on and forget about them, just stay focused on your goals. Most of all remember that things don't happen overnight but with hard work, determination and some dedication they do happen, it's all up to you.